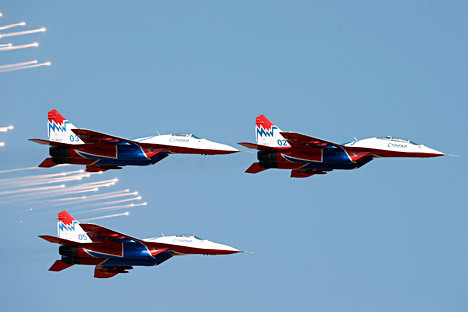 The Russian aircraft corporation MiG may stop servicing MiG-29 fighters belonging to the Bulgarian Air Force if Bulgaria signs an agreement with Poland on the maintenance of RD-33 jet engines, MiG CEO Sergei Korotkov said on Oct. 16. "If Bulgaria signs an agreement with Poland on the maintenance of RD-33 engines installed on MiGs, we won't have another choice but stop providing technical support and maintenance of MiG-29 planes of the Bulgarian Air Force," the corporation quoted Korotkov as saying in a statement shared with Interfax-AVN. If such a deal is signed, this would call into question the safe operation of these planes and jeopardize pilots' lives, Korotkov said. "We regret that such a decision should be made based purely on opportunistic political considerations and is likely to be a result of pressure from the outside," he said.